In the car this morning I listened to an album I haven’t heard for probably 30-odd years (2112 by Rush). Now, it was great to listen to some vintage Rush after all this time, but what was really striking was the fact that I found myself remembering the words and singing along ( I couldn’t reach Geddy Lee’s pitch but I gave it a good try). How could I remember the lines of songs I haven’t heard for three decades? I then turned on the iPod and found myself singing every single line of Joe Jackson’s Fools in Love. If you asked me to write down the lyrics now I’d struggle to remember the first two lines, but put me in the context of the song itself and it all comes flooding back. Why is that? Why do song lyrics stick? Here, the context is everything. The human brain holds about one billion neurons, which combine to make over one trillion connections, and each connection helps to store multiple memories. Our brains prefer to store data in patterns, so music provides a simple, handy ‘package’ of data – words, sounds, tunes, inflexions, tones, narratives etc – which can be stored in pattern form. Revive the memory of one part of the pattern (the music) and other parts will be retrieved (the lyrics). Our early ancestors knew this when they told their stories on the savannah. The ability to pass down traditions, beliefs and knowledge to future generations was vital to preserve the continuity of the tribe, but the spoken word was unreliable and easily forgotten. If a tradition was to survive over many generations it would need to be ‘packaged’ for passing from one person to another in a more reliable way – say through a powerful visual image, a story or a song. So tribes would develop chants involving alliterations, repetitions and rhymes that could be easily remembered and repeated. This tactic of preserving knowledge and tradition is still employed by aboriginal tribes in Australia and others around the world. So those of us in the business of getting messages to stick have surely found the answer – put the company strategy to music? Well, don’t laugh because some companies have done it, but it doesn’t have to be quite as drastic as that. Music does tell us something about the way we remember and how we can exploit our brain’s fondness for connections. I’m reminded of a story I was told many years ago on a neuro-linguistic programming (NLP) workshop…. The annual sales conference of a struggling photocopier company was fast approaching. Sales performance was dire and managers were seriously worried about morale. A rival company had recently introduced an all-singing all-dancing photocopier that simply blew away all competition. It was beautiful, sleek and hi-tech … and most sales reps knew the game was up. They couldn’t possibly compete with this new kid on the block. What could managers do to avoid next week’s sales conference from turning into a wake? The day arrived. The hall was full of depressed, worried and vanquished reps. They were expecting a kicking. Or the chop. The lights went down. The dry ice came up. Two men in brown coats wheeled something onto the stage covered in a sheet. The spotlight shone brightly as the sheet was pulled away to reveal …… the competitor’s photocopier. There in all its glory, shining brightly, beautiful. The crowd sat in silence, dumbstruck that here in front of them was the very cause of their depression. How could the company do such a thing? Suddenly, at full volume, the hall fills with the first few bars of Peter Gabriel’s Sledgehammer. More brown-coated men walk on carrying (you’ve guessed it) sledgehammers. The first blow is struck as plastic and metal flies off in all directions. Then another and another. As the music gets even louder, the sledgehammers rain down on their prey. The pristine photocopier is now a tangled, battered mess. The crowd are on their feet. Some jump on their chairs pumping the air. The atmosphere is febrile. At the end of the song, the hammerers slowly walk off, leaving the shattered shell of the competition for all to see. There’s a pause. The crowd are excited. Then the boss walks on, kicking a piece of debris in his path and says to the assembled reps “so, how do you feel?”. He explains that underneath each of their chairs is a cassette tape and that he’d like them to play it in their cars when they’re out on the road. It only contains one song, on both sides. Of course, it’s Sledgehammer. In the following months, the company’s reps beat all previous sales records. The company survives and ultimately prospers. So this is an example of anchoring. Using a song or a mental image to bring back a memory and catalyze action. Powerful stuff. Messages are more likely to stick if they can be attached to a pattern, or ‘schema’. Think of one thing and it triggers a connection and revives another memory. Our challenge is to be creative in how we set those patterns, package the message and anchor the experience. Music and business – not obvious bedfellows but maybe we have something to learn here? This entry was posted in Messages, Neuroscience, Psychology, Storytelling and tagged music, songs on October 31, 2013 by creativecommunicator. So I sat there in this meeting about IT and I understood less than 20% of what was discussed. For the most part, I tried to pick out the words I knew and did my best to make sense of it but towards the end I had to admit, I switched off. Highly unprofessional and not very productive, but sometimes you just have to put your hands up and say “you’ve got me, I don’t know what you’re talking about”. Although, of course, I didn’t put my hands up at all. Most of us soldier on, not having or seeking understanding. And this happens every day to millions of people in the workplace. 1. Lack of context. One of the reasons messages fail to hit home in organisations is that they don’t have context. Messages are too random, with no sense of belonging or association. I can receive and read a message, but I can only understand it if I can tie it to something I already know … what psychologists call a ‘schema’. 2. Too many assumptions. Communications professionals should have a code of conduct and somewhere near the top should be the words ‘assume nothing’. We cannot assume our audience has read every communication, or turned up to every meeting, or listened to every word, or understood every meaning, or asked every question, or left the room with a warm glow of satisfaction. People understand when the message is simple, consistent, relevant, contextualised, well-delivered and meaningful. Most corporate comms messages aren’t. 3. Too much jargon. I’m always amazed at how many people in organisations, often at senior level, don’t understand their own jargon. Test out common acronyms on a sample audience at any one time and I guarantee some will get them wrong. But it’s like the emperor’s new clothes. We all think we’re the only ones. 4. Complexity. “Confusion now hath made his masterpiece” says Macduff to Macbeth in Shakespeare’s Scottish play. When it comes to ensuring understanding, the principle of Occam’s Razor should apply – the simplest explanation is usually the right one. But why oh why do we insist on making everything so complicated! It’s one of the biggest barriers to understanding in the workplace – too much complexity. Simple, simple, simple. It has to be on our code of conduct! 5. Groupthink. In recent years, scientists have uncovered some fascinating insights into why we are so inclined to “go along with the crowd”. This concept of ‘groupthink’ is a dangerous barrier to understanding, because of our reluctance to break from the crowd. How often have you gone along with a group idea only to find later that none of the group actually wanted to do it. “I only went along with it because I thought you wanted to do it”. “Oh, but I thought it was you who wanted it”. In experiments, where groups of people looking at a problem were influenced by primed ‘actors’ pushing the wrong solution, an astounding number of participants would vote with the wrong answer, even though they knew it to be false. Neuroscientists have discovered that, when alone, people rely on the frontal, decision-making areas of their brain, but in groups, they use more of the emotional area associated with perception. Peer pressure can indeed be a dangerous thing. In practice, many of those people who say they understand, actually don’t. 6. Myths & Rumours. I’ve just worked on a project which suffered little from false rumours. Word went round that a new service was expensive and unreliable and this fuelled perception among potential customers. The original rumour turned out to be way wide of the mark, and it took some heavy comms and engagement to ‘bust the myths’ and get back on track. But people do base their understanding on what they’ve heard as well as what they’ve experienced – as many brands have found to their cost. Suddenly, half your audience has got the wrong end of the stick. 7. Wrong culture. Organisational cultures can be silent killers of many things – advancement, creativity, engagement, collaboration, change agility, service ethos etc. But culture can seriously impact understanding too, not least in the way it hampers openness, conversation and challenge. Is it OK to ask a ‘stupid’ question in your organisation? Is it OK to say “I don’t understand”? Is it career-limiting to say you don’t get it? Unfortunately, for many, the answer is yes. 8. No reason why. Surely one of the biggest reasons people fail to understand is, quite simply, because they can’t be bothered. And who’s to blame them? We’ve got enough on our plate without having to learn something new. So if we want our audience to truly understand something we need to give them a reason why. Part of that comes in the context described above, but it also has to have a relevance, a hook or a ‘stickiness’ (to paraphrase Chip & Dan Heath’s book Made to Stick). Not only do we have to get the audience to be able to understand it, we need them to want to understand it too. 9. Lack of opportunity. Take the phrase “I didn’t give him money”. Say it aloud five times, putting an emphasis on a different word each time and you have five different meanings. It’s hard to get the true meaning of a message first time round, especially when it’s written and not spoken. So we get round that by asking questions and seeking clarification. “When you said A, I thought you meant B”. “No, when I said A I meant C.” That’s a relief, I was about to go and do D.” That, again, is human nature, but so often in the workplace we restrict the opportunity for questions and clarification. And without the opportunity, we risk misunderstanding. 10. Poor delivery. At some point, of course, after the planning and the crafting, the message must be delivered. Somehow. This is the ‘transaction’ it all comes down to. So getting the delivery right is key – the right words, in the right way, through the right channel. The level of understanding will come down to the options you choose, so what’s going to work for your audience? Will it be speedy email, a face-to-face briefing, a jargon-busting article, an engaging story, a creative visual, inspiring videos, an interactive conference … mime, dance, shadow puppetry (OK, I’m getting silly now, but you get the gist). The right delivery for the right audience. Get it right and get it understood. This entry was posted in Communications, Messages and tagged understanding on September 5, 2013 by creativecommunicator. The leaked memo from Barclays boss Antony Jenkins telling 140,000 staff to sign up to a new set of values or leave the company has caused quite a debate among communicators. Some are uncomfortable with the blunt tone, others are more concerned about imposing values onto people and some say “way to go AJ”. Personally, I don’t have a problem with the frank tone of the message, which states (to the people who don’t feel they can sign up to the values): “My message to those people is simple: Barclays is not the place for you. The rules have changed. You won’t feel comfortable at Barclays and, to be frank, we won’t feel comfortable with you as colleagues.” From a language point of view, it’s clear, strong and refreshingly uncorporate. And given the context of bad behaviour in the bank up to now, a strong message is the only option. But will it make a difference? Back in 1998 I worked for a CEO who faced a similar challenge of bringing about cultural change in a global financial services organisation. He spent the first six months in the job travelling round and taking a good look at what he had inherited. He didn’t like what he saw. He knew that dramatic wholesale change would be required to fix what was an ailing organisation lumbering towards the 21st Century. He also knew that the organisation was full of fiefdoms and parochial cliques, where ‘knowledge is power’ managers would run the rule as they saw it. The CEO wanted to pursue an agenda of personal responsibility, customer focus, teamwork, knowledge sharing, trust, collaboration, learning, change agility and tech revolution. Some chance. So he decided to bring 365 of the company’s top managers together for an event in Barcelona. They all turned up, expecting the usual away-day jolly, only to find coloured polo shirts in their hotel room and a request to wear them next day for the first session – blue for Europe, yellow for AsiaPac and red for Americas. They didn’t fancy this, of course – “how naff” they chorused. But next day they dutifully gathered in their shirts, looking and sounding mightily uncomfortable. The stage was very corporate – plain lectern with a logo filled background. Then on came the CEO, in a suit and tie, and proceeded to embark on a fairly dull PowerPoint review of business performance. Now why did this happen? Primarily it was to put a very clear stake in the ground that things were about to change. There had to be a moment in time when the change started – and that time (as I still remember today) was 9.20am on June 6th 1998. The time of the revolution. There had to be this one moment to signal that things would be different from now on. It could only happen with all the top managers in the room. Now of course, the excitement died down and the CEO and his colleagues proceeded to set out, over the following three days, how the organisation was going to change and what he expected of his leaders. But he quite rightly knew that would not be enough. He knew some were “up for it” but it was obvious that many would go back to their constituencies and carry on as before. So on the final day, at the farewell lunch, he dropped the bombshell. At the point where he was expected to say “thanks very much, it’s been great, now have a safe journey home”, he actually said this: “You know, over these last three days I’ve taken the opportunity to meet every single one of you. I have looked into the whites of your eyes, and I know that some of you are ready to lead this change. But I also know that some of you will go back to your part of the organisation and carry on exactly the same as you did before. Well, to those people, let me just say this. There are lots of good companies out there who would welcome your knowledge and experience. So why don’t you go and work for those companies? If you aren’t prepared to change, there’s no place for you here.” We called this the “whites of your eyes” speech and it had a tangible impact on the room. Over the following months, some great role modelling leaders emerged with innovative and inspiring ideas for engaging people. Many other leaders left the organisation. The change had begun and it captured the imagination. see what happens next. For me, the mistake Barclays have made is in their new core values. They’re useless – respect, integrity, service, excellence and stewardship. What does that mean? As someone pointed out on a forum, Enron had three of these values! Values shouldn’t be nouns – they should be verbs. That way they can be actioned and measured. Show me an organisation who doesn’t believe in integrity, respect, service yada yada. Success will now lie in how they embed and role model the values, but I can’t help feeling it’s a missed opportunity. The first punch was with a knuckle duster, the second was with a custard pie. This entry was posted in Change, Communications, Engagement, Leadership, Messages, Values and tagged Barclays, CEO, revolution on January 23, 2013 by creativecommunicator. 1. Aim for the heart not the head. In her book, Talk Less, Say More, Connie Dieken champions the ‘less is more’ principle of maximising success by minimising words. Her best tip for grabbing attention is to give people what they value up front. According to Connie, there are only three comms skills that matter – Connect, Convey and Convince. And if you can’t connect, you’re stuffed. So that means aiming for the heart not the head. The ‘feeling’ part of our brain always reacts first, so make sure there is emotion behind the words. Make people care. If they care, they act. 2. A good way to do that is through storytelling. Stories tap into our emotions. They bring us to tears, lift our hearts, entertain us, thrill us and inspire us to action. Organizational storytelling is big business and there’s loads of books on the subject (the best being Steve Denning’s Squirrel Inc) as well as companies offering storytelling consultancy and training. But to be honest, you already know how to do it. You do it every day over the dinner table and to your children at night. It’s not rocket science. If you over-craft them they won’t be stories. 3. Chip & Dan Heath’s best-seller Made to Stick contains a veritable feast of great advice about making messages stick. The stand-out section is the one about the curse of knowledge which explains why being well informed about a topic can mean that we lose our ability to explain it in simple terms to someone less well informed. Experts forget what it’s like to not know something, which makes them think everything is important. Our job is to help them filter out the stuff that’s ‘not important’, ‘important’ and ‘really important’… leaving only the bit that is ‘most important’. 4. SPAM filters are not just for incoming. Put the curse of knowledge into a large mixing bowl, add a healthy portion of corporate jargon, a heaped spoonful of unnecessary adjectives and a sprinkling of macho leadership. Stir with six different spoons and leave to stand for two hours before serving to an audience that isn’t hungry. When people don’t eat, it means they don’t like what’s on the plate. Cut out the unnecessary ingredients, like jargon and waffle, and keep it simple. Serve a green salad rather than a three course banquet. 5. Count the calories. Keeping with the food analogy, see your comms as a calories controlled diet. A good way to keep attention is to open up gaps of knowledge. Our brain doesn’t like uncertainty and it doesn’t like gaps, like unfinished stories. So deliberately open gaps that your audience wants to see filled. Create interest, limit the amount of detail at any one time, tell people what they can expect next (open the loop), leave some ambiguity to leave them wanting more. Then fill the gaps with low calorie servings. 6. Don’t ever underestimate the impact of good writing. There’s a new breed of executive internal communicator out there who believes the ability to write is no longer a core skill – that it’s operational not strategic. They’ll be the same people who say they’re not creative to avoid having to come up with an idea. Personally I don’t agree, but either way good writing is essential to the art, so if you’re not the artist, you better find someone who is. With the attention deficit disorder present in most organisations and the increasing need to connect first time, good impactful writing is actually more important than ever, not less. 7. There has to be a why. 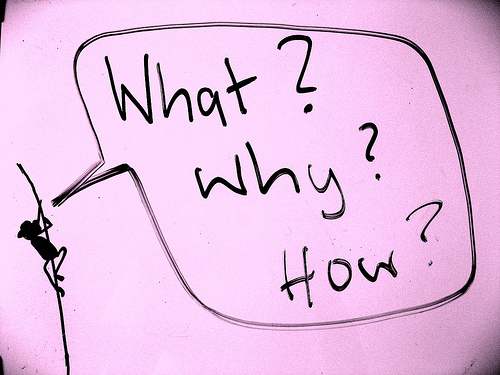 There’s only one message in Simon Sinek’s Start With Why, and that’s to, ahem, start with why. For a message to stick it needs more than publicity. It needs a sense of purpose, a cause or a belief that people can relate to. That won’t be the what, the how and the when …. it’ll be the why. 8. Use weapons of mass distraction. Another Chip & Dan Heath tip is to use ‘the unexpected’ to grab attention. A good way to do that is to break a pattern. Changing, adding or removing something from an existing pattern alerts our brain that something is different. It makes us sit up and take notice. One of the downsides of our over-managed internal comms environments is that we are often severely restricted in how we communicate – logo police, brand guidelines, templates, managed channels, poor capability etc. But too much of that and we lose the ability to be noticed. How do you distract people from the humdrum of daily life? Surprise them. Make them jump. 9. Metaphors aren’t just for poets. Like stories, metaphors can transform a complex message into clear and recognisable meaning. Metaphors help us to understand others and build empathy. They satisfy the search for meaning that we all seek in our personal and professional lives. Turning your message into a graphic or written metaphor can produce that “Ah, I get it now” moment. Read Dan Pink’s A Whole New Mind for more on why this is important. 10. Don’t think too much about it. There’s a psychological theory called the paradox of choice which says that if you give people too many choices they can suffer some form of paralysis and end up not making a choice at all. In comms, we often over-craft messages by trying to include so many different options and opinions that the final message gets diluted and bland. Usually it’s the first draft or the unscripted anecdote that hits home best. Martin Luther King’s famous ‘I have a dream’ passage was not part of his prepared speech. After he had completed his formal script, he looked around and sensed his audience needed more, so he ad-libbed and the rest is history. This entry was posted in Communications, Messages, Writing and tagged Stick on October 2, 2012 by creativecommunicator.